Violence grows in Ivory Coast Jump to media player The United Nations says hundreds of people in Ivory Coast have been abducted from their homes since last month's disputed election. 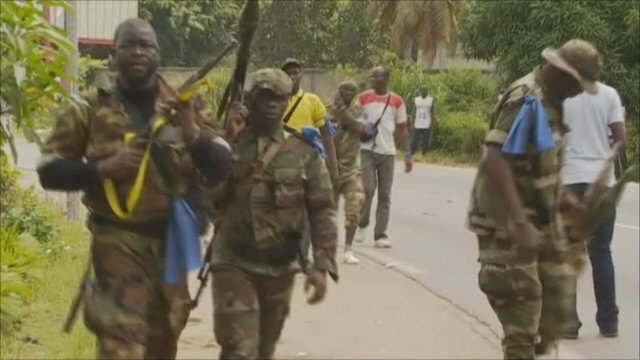 Peacekeepers ordered out of Ivory Coast Jump to media player Incumbent Ivory Coast President Laurent Gbagbo has demanded that all foreign peacekeepers leave the country immediately, escalating a dispute over last month's presidential election. Fears of fresh Ivory Coast unrest Jump to media player Supporters of one of the two rival presidents in Ivory Coast say they intend to take to the streets again, a day after gun battles in the main city of Abidjan left at least 20 dead. 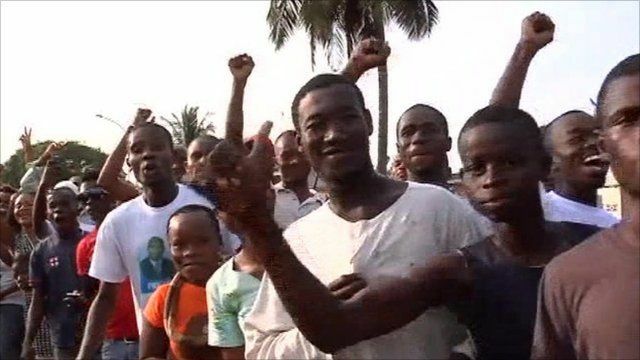 Ivorian troops fire on protesters Jump to media player Supporters of Alassane Ouattara, one of the Ivory Coast's would-be presidents, have clashed with security forces in the north of Abidjan. The United Nations says hundreds of people in Ivory Coast have been abducted from their homes since last month's disputed election. The UN High Commissioner for Human Rights, Navi Pillay, says some of the assailants wore military uniforms, and there is evidence of "massive" human rights violations. 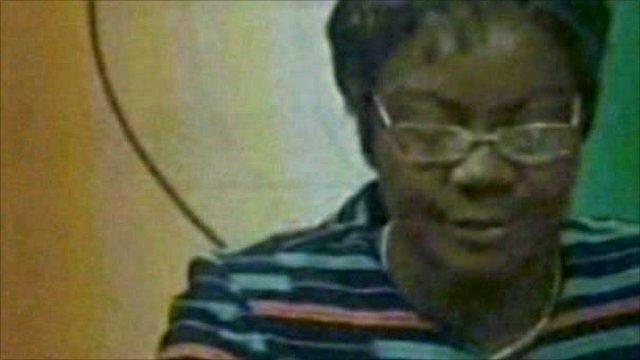 More than 50 people have died in violence in recent days. Incumbent President Laurent Gbagbo says he won the poll, but his rival Alassane Ouattara has international backing. 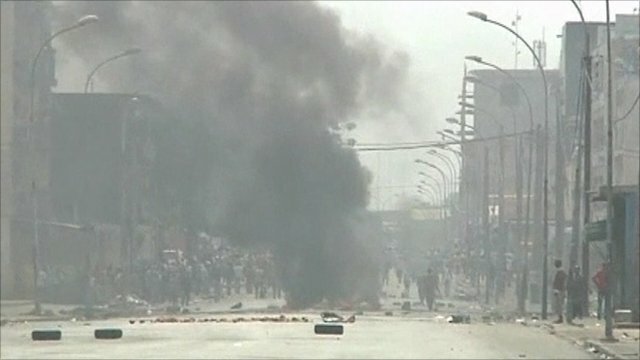 The BBC's Thomas Fessy in Abidjan, says that the tension is growing in the capital.